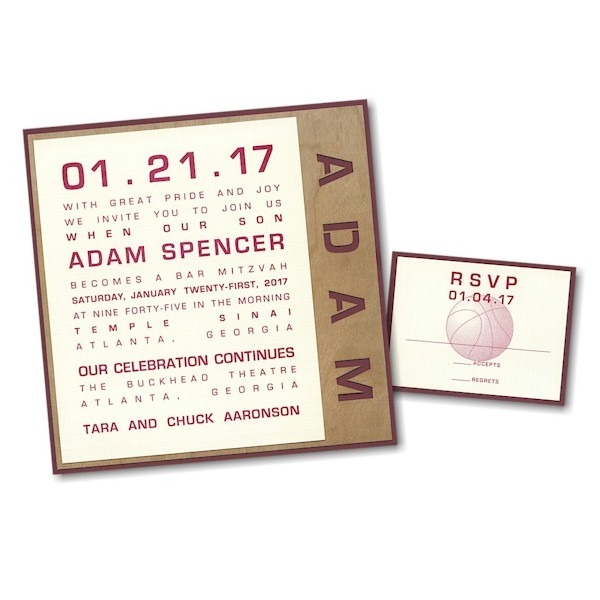 This masculine Bar Mitzvah invitation is printed on Natural White Linen layered over Cherry Wood stock with the child’s name laser die-cut vertically along the right edge to reveal the Burgundy layer below. 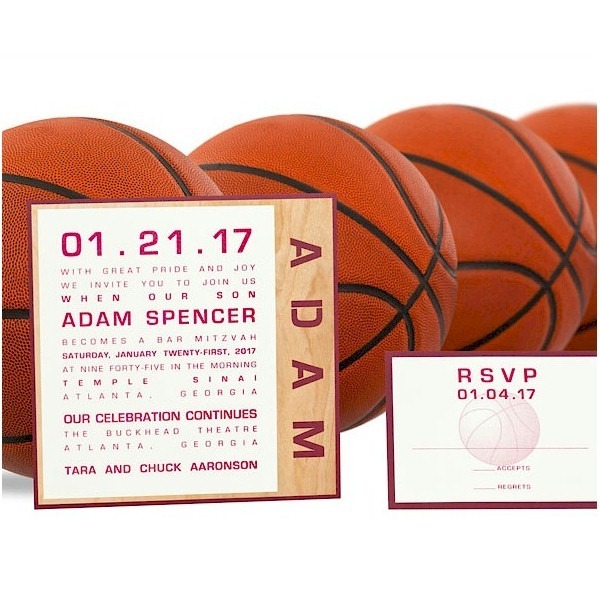 This masculine Bar Mitzvah invitation is printed on Natural White Linen layered over Cherry Wood stock with the child’s name laser die-cut vertically along the right edge to reveal the Burgundy layer below. Measures 7-1/4″ square. Shown with Burgundy ink and Lettering style Eurostyle Caps. 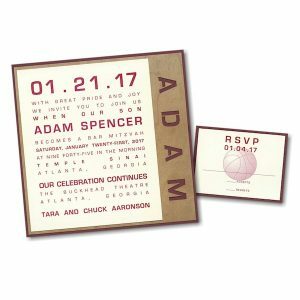 The Reception card will print on single Natural White Linen stock and the RSVP cards will feature a layer of Natural White Linen over Burgundy Linen. The Informal Notes will print on Natural White Linen folder stock. 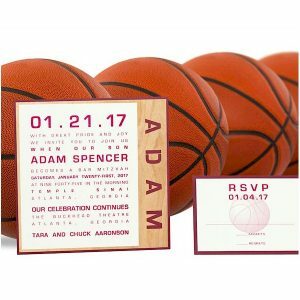 This Bar Mitzvah invitation is accompanied by single Natural White Linen envelopes. This invitation requires additional postage. Please check with your local Post Office for details.